Choosing a hosting plan, whether it’s for a new website or to transfer your current setup, can be an overwhelming task. There are several available hosting choices and the vast array of options – including dedicated, shared, and managed – can leave you with analysis paralysis. One possible option is shared hosting, which provides you with many benefits. For instance, shared hosting generally offers both low costs and convenient setup., which makes it a great option for many websites. In this post, we’ll introduce shared hosting and explain how it works. We’ll also discuss its pros and cons to help you decide whether it’s the right choice for you. Let’s go! Shared hosting is a type of website hosting where a single server (and its resources) is shared among several websites at once. 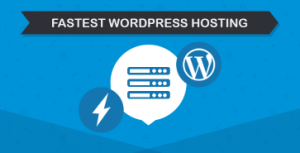 This is in contrast to dedicated hosting, where one server hosts a single site, and Virtual Private Server (VPS) hosting, which is similar to shared but with fewer sites per server. Which type you choose depends largely on your site’s requirements. Each type has its unique benefits and drawbacks, so let’s take a look at how shared hosting stacks up. We’re now going to discuss the pros and cons of shared hosting, compared to other hosting options – such as VPS and dedicated. Let’s take a closer look! Shared hosting is generally much cheaper compared to other hosting options. For example, the monthly cost of shared hosting can be as little as $5, compared to VPS hosting, which usually starts at around $35-40 per month. This is because you share a server with other websites without any dedicated space allotted, meaning that every site shares the same resources. Perform a resource audit. This enables you to understand how much space/bandwidth you use. You can then choose the cheapest plan that fits your needs. Focus on the features. When comparing hosting plans, consider the features that they offer for free, such as SSL certificates and site migrations. Another feature to consider is support. A shared hosting plan that offers 24/7 support services, as well as free advice to customers, is one that will pay for itself many times over. You may feel as if you don’t have the technical know-how to run a website. This is where the convenience of shared hosting becomes a factor, as the web host will handle all the technical aspects of running the server. This differs from other types of hosting, such as dedicated and unmanaged VPS, both of which generally requires you to maintain the server. To make shared hosting even more convenient, you should choose a hosting option with 24/7 support. You can then reach out to them at any time for assistance and answers to your questions. You can also make running your website even more convenient by choosing managed hosting. Not only will the hosting company take care of the server, but also the back end, which ensures that your site is always updated and protected. On a shared hosting plan, you’ll generally have lower resource limits, which includes storage space and bandwidth. For example, if one site on your server gets a huge spike in traffic, the other sites on the server could slow down as they don’t have the needed resources. While this is definitely a problem, especially for sites that can’t afford slow-downs or downtime, you can help alleviate it. You can look for a plan that offers increased resources, and consider a host that enables you to change your plan on a monthly basis. With this, you can increase your resources when higher traffic occurs or downgrade when you don’t need the extra resources. Security is an important factor for websites, both big and small. However, the nature of shared hosting plan can potentially lead to some security vulnerabilities. As several websites share a server, it’s possible that one website could be infected with malware or be the victim of brute force attack, which could potentially affect all other sites on the site. Invest in top-notch website security. Plugins and extensions enable you to increase your website security. In many cases, the annual investment you make in a plugin or extension is worth the peace of mind. Choose a host that offers additional protections. For example, firewalls and malware scans can reduce safety risks and improve overall security. One of the best ways to reduce security vulnerabilities – whether on a shared hosting plan or not – is to be proactive. This means you must understand the many security risks out there and protect yourself against them. Shared hosting is a perfect solution for some websites, but not nearly as suitable for others. It all depends on the requirements of you and your site, so consider how the pros and cons we’ve covered will affect your intended site. We recommend that you consider shared hosting if you want to create a blog or personal site. It can also be a good choice for low-traffic sites, such as portfolios. All of these tend to run on the smaller side and require fewer resources. In addition, as the owner of such a website, you may find yourself requiring a bit more help with setup and support. These are both offered with shared hosting. 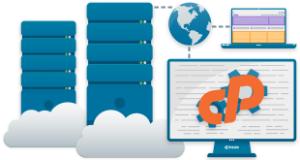 There are many hosting companies to consider, but A2 Hosting offers essentially all that you’ll ever need in a shared hosting solution. With full support from a team of dedicated experts, a high-speed performance, and even a free SSL certificate, OUR Hosting’s shared hosting option can fulfill your needs. With so many hosting options to choose from, it can become overwhelming to find one that’s ideal for you. If you’re just getting started on your journey, we recommend you consider shared hosting. It’s a great choice for many types of websites, including small business and hobby. You’ll have to share resources. You may be exposed to security risks. Do you have any questions about shared hosting, or how Rank Host can help? Let us know in the comments section below! A mix of experienced web developers and server administrators, united in a joint venture to provide you with a top-notch hosting environment.